In 1990, I met my soul mate, Joe Wham, who happens to be Sean Turner's cousin (imagine that!!!). The problem was that he came down for a visit in 1990 from Delaware and I still lived in Charleston. 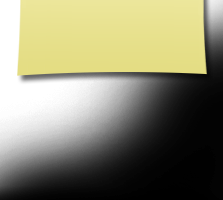 About 6 - 9 months later, I moved up, finished college, and 5 years from the day of our first date we were married. We just celebrated our 13th wedding anniverary (18 years together). Man, I feel old. We have two beautiful children and my husband and I can't get enough of them. We do everything together. Suzanne Swan Wham has a birthday today. This is a picture taken at my grandmother's 80th birthday party in May of 2007 in Va. Joe Wham, Suzie Wham, Joelyn Phillips (my sister), and Ben Phillips. 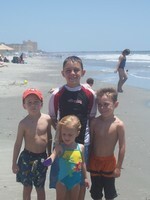 This is a picture of my two boys and my neice and nephew at Folly Beach. We recently came home for a visit. Going clockwise from the top is my 8 yr-old son, Joey, Jr., my almost 5 yr-old son, Justin, my 3 yr-old neice, Caroline, and my 5 yr-old nephew, Robbie. Joelyn and me in our first annual sister vs. sister triathlon in Texas last Labor Day. We're doing Galveston this fall in our "sessy" swim caps (as my four-year-old says... "sessy"). Tom, Joelyn and I in TX after the race. Tom is a good friend of my sister's. The Alamo in San Antonio, TX. Poor little Caroline doesn't stand a chance with her big brother and two cousins.